Can other family members be trusted to honor this disclosure? Can they treat the subject with sensitivity and respect? Can I foresee their reactions? How often do I see these relatives? If there's potential for misunderstanding and conflict, how will I handle it? If they are intrigued and interested, how will I handle that without breaching my youngster's trust about disclosure (i.e., sharing more than what we agreed on)? If I see them infrequently (e.g., only once or twice a year), is it important to say anything? In the end, the pros of disclosure may outweigh the cons, but you and your youngster may decide that it's simply no one's business. Many Aspergers (high functioning autistic) kids can skillfully “pass” and “blend in” for the duration of a day with extended family such that any differences may go completely unnoticed given all the other distractions. So, be prepared for the full range of reactions from extended family. 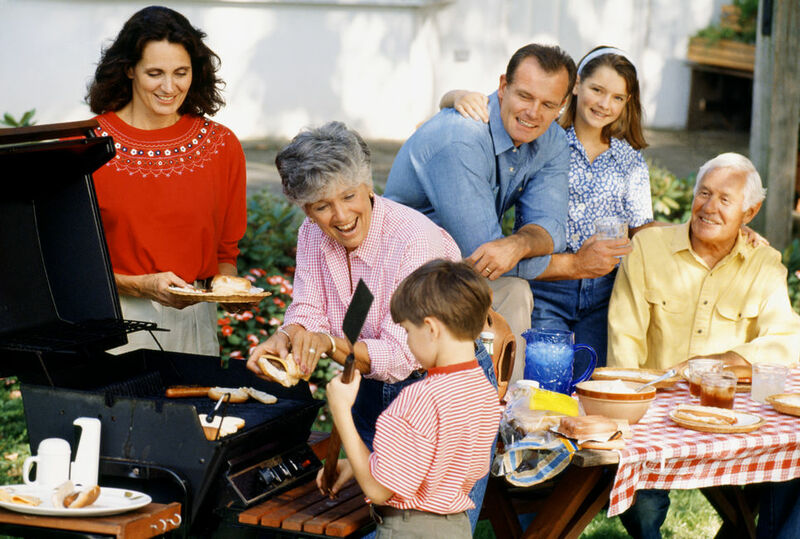 Agree on how long you will attend family gatherings – and stick to it! Be certain to locate an area where your Aspie can retreat, undisturbed by others, to recuperate during much-needed “downtime.” Show your Aspie where this “safe place” is, and assure him that he may use it at will. Check with your family members in advance to find out what materials your Aspie may access with their permission. Ensure that your Aspie has some materials related to his special interest (e.g., iPod, iPad) to quietly indulge in if he feels overwhelmed. Make sure your Aspie knows where books, TV or videos, crayons, pen or paper, and Internet access can be found for solitary downtime activities. To help your Aspie in surviving a day or more with extended family, you will want to arm him with self-advocacy and coping skills prior to attending family get-togethers. Sharing information about your youngster’s disorder with neighbors, acquaintances, or total strangers in your community is no different than the process of determining when, where, and how to share the same information with extended family. Weigh carefully the pros and cons that may come from disclosing this information. Ideally, your Aspie should be encouraged to be his own advocate as early as possible in order to decide how much or how little to tell others about his condition (if it's even necessary at all). Abby Hartwig Jakowski About 6 months after our dx, I wrote a big long email about our "autism journey" and sent it out to everyone. That way they could digest it as they needed to and I could manage questions as I needed to. I thought it was important to tell them all as there are still many cousins of mine who have yet to have kids and maybe my letter can help them watch for warning signs and make informed decisions. Carrie Arick I never got the chance to share. I told one person and that and they told everyone else before we got home from the doctor's appointment. Wish I could have had more time to process it as a family before it was shared with the entire world. Alice Cranford We shared the information with grandparents and our closest siblings in depth. Everyone else it has just kind of been on a as it comes up kind of conversation. We focus more on the positives of our Aspie (exceptional memory skills etc.) then explain his quirks (poor social skills, hypersensitivities etc.) it seems to help them appreciate our unique little guy more. Monica D'Agostino Seidel AC: YES! That's what we do, and that's how we live. Kim Cohen I wrote a semi-long letter to close friends and family about what was going on; I needed the support and love. Most importantly, I no longer wanted people to misunderstand what my son does or what it means when he does certain things. I took a similar approach of giving the strength alongside the challenge. I think our close friends and family definitely have far more information because they are just closer to us. Likely, this year it will probably make it in some form in our family holiday newsletter for some of the same reasons that AJ noted, not to mention, I know a lot of family members have kids with other LDs, so I want them to know they are not alone too! I agree that it is delicate, especially when it is a familial condition (you know, great-grandpa got an engineering degree from MIT, etc., etc.) It's not as if you can suggest to someone that they have it too, or at least noticeable Aspie traits! My dear MIL loves our Aspie, but it's not like we can point out its genetic legacy to her, as she shares some of the same traits. Please, everyone contemplating pregnancy, do your research on prenatal vitamin D (why do younger siblings have a greater chance of having autism? Hmmm.....) and take enough! My sons behavior has effected the entire family but whats worse is when relatives just don't listen and only see him as a naughty little boy-there reactions often ignite the situation and so I tend to stay away in case he has a wobbly.